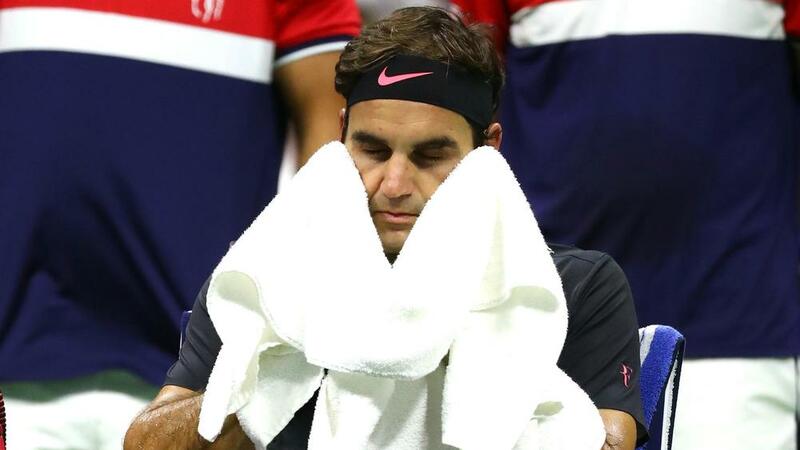 Roger Federer feels he would not have been good enough to defeat long-time rival Rafael Nadal in a blockbuster US Open semi-final after falling to Juan Martin del Potro at Flushing Meadows. Fans were hoping for a headline showdown between Federer and Nadal in New York but 2009 champion Del Potro had other ideas as he upstaged the 19-time grand slam winner 7-5 3-6 7-6 (10-8) 6-4 on Wednesday. Swiss veteran Federer was uncharacteristically off his game in the big moments, both physically and mentally against the 24th seed, who saved four break points in a pivotal third set. Troubled by a back problem leading into the year's final slam – an issue which required medical attention during his last-16 win over Philipp Kohlschreiber – the 36-year-old revealed he never felt confident of adding to this year's Australian Open and Wimbledon titles in the Big Apple, insisting Del Potro is in a better position to overcome Nadal in the semis. "I didn't even think about it, as I lost that match, that it's not going to happen," Federer said when asked if he was thinking about a potential matchup with Nadal. "I'm dealing with just trying to understand what happened and just to overcome this in the next few hours, days, weeks, whatever it is, you know. I'll be fine. "Of course it is a pity, but, you know, Juan Martin deserves it more. I feel I have no place in the semis and he will have a better chance to beat Rafa, to be honest. "Good thing is that I need a rest. I have a rest now, so that's good. That's actually the thing when I walked off the court, I was, like, Finally, I can rest," Federer continued. "Because I'm tired. I put a lot into it. I was not sure I could play, to be honest, so I'm happy I get a rest now." Talking about his build-up to the US Open, Federer added: "I think there's definitely things that happened in the preparation and throughout the tournament that led to my performance today, because I can play much better but I can play worse, too. "So it was one of those matches where if I ran into a good guy, I was going to lose, I felt. I don't want to say I was in negative mindset, but I knew going in that I'm not in a safe place. Might have depended too much on my opponent, and I don't like that feeling. I had it throughout the tournament, and I just felt that way every single match I went into. "I didn't have that feeling at Wimbledon or at the Australian Open, and that's why rightfully so I'm out of this tournament, because I wasn't good enough, in my mind, in my body, and in my game to overcome these three pillars. "If you're missing all three, it's going to be tough. I'm okay with it, and I tried until the very end. And smashing certain stuff in the net that I normally wouldn't, smashing forehand volleys into the back fence, I mean, that stuff sucked. Honestly, it was terrible. "Juan Martin did well. He served well, had some big shots when he needed to. That was the part, that he did so much better tonight, and that's why he deserves to win."